Future Music is the essential guide to success for the modern producer. 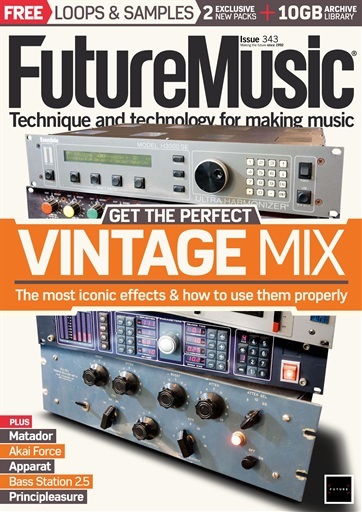 Discover everything in the pages of your Future Music digital magazine - from interviews with some of the world’s top producers and DJ’s, to practical tutorials that will help you take your production to the next level. Whether you’re looking for inspiration for your next project or just want to stay up-to-date with the very latest in the music industry, then Future Music magazine is just what you need. You’ll be the first to know of any new tech releases as well as any industry events. 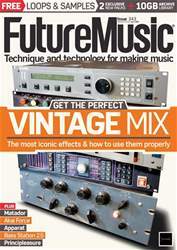 Take your production and mixing skills to the next level and become the ultimate selector with Future Music magazine! Looking for Future Music in print? Unfortunately pocketmags.com does not sell print copies of Future Music, but all is not lost. Our partner at magazine.co.uk sells print subscriptions at the best prices online. Ever wanted to get inside the mind of your favourite producer to find out how they mixed your favourite songs? 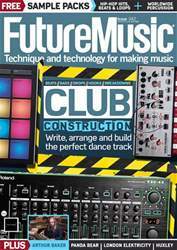 In ‘The Studio’ feature, Future Music holds regular in-depth interviews with some of the world’s top producers - including Noisia, Chromeo, Pendulum, Nicky Romero and Swedish House Mafia. As a subscriber, you’ll gain exclusive access to deals and coupons not found anywhere else! You’ll never miss the next big release, as each issue provides a roundup of all major events and launches. Tech head? Find in-depth reviews on all the latest gear - from synths and mixers to speakers and microphones, as well as news on all the latest releases. 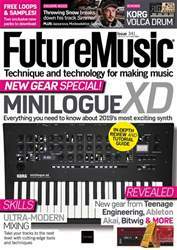 You'll receive 13 issues during a 1 year Future Music magazine subscription. You'll receive 13 issues during a 1 year Future Music magazine print subscription.